A three-round battle between noted strikers Kaitlin Young and Leslie “The Peacemaker” Smith earned Fight of the Night honours on Saturday night at Invicta Fighting Championships 1 in Kansas City, Kansas. Both fighters pocketed an additional $1500 in bonuses for their performances. Sarah “White Tiger” Schneider won an additional $1000 for her Submission of the Night-winning armbar of “Slick” Sally Krumdiack in the opening bout on the main card. Fellow Invicta FC winners Liz “Girl-Rilla” Carmouche and Jessica Penne also received $1000 in two Social Media bonuses. Young (7-5-1) and Smith (3-2-1) both felt that they had done enough to win their action-packed fight, but the cageside judges ultimately returned a disappointing Split Draw with scores of 29-28, 28-29 and 29-29. Both fighters spoke with MMARising.com after the fight. Young felt that she was getting better as the fight progressed and really hit her stride in round three. Smith disagrees with Young on how the fight played out, but shares the same sentiments in feeling that Invicta FC is the best promotion that she has fought for to date. “This is the best show I’ve ever been on,” Smith told MMARising.com. “They were so cool and accommodating. It was fun. I had apprehensions about fighting on an all-female card, but it turned out really good and I would love to do it again. “It was a fun fight [against Young],” she added. “I want to learn from it. I definitely change every time that I fight, so it’s going to be fun to see all of the different kinds of changes that I need from this fight and to use those in my training. Next time, I’ll come out a little better. I was planning on [controlling the striking right away]. I’ve got an awesome boxing coach and great sparring partners. I spent a lot of time in Thailand and then had an awesome camp. Like Young, Smith did express interest in the prospect of a rematch but also referenced the growing number of top challengers at 135 pounds and other potential fights on the horizon. Whether a rematch does take place or not, Young and Smith attracted a peak audience of well over 100,000 viewers during their fight on Saturday night; a number that actually surpassed Bellator 66’s overall average total from eight days prior. 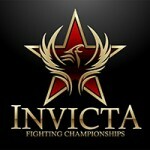 Update (April 30th): Peak viewership for Invicta FC 1 surpassed 250,000 viewers. thats a lie about the viewing figures. invicta had 100 thousand try it out. bellator had an average of 109 thousand the whole way through. another big lie.. always ruining a good story with a lie. Invicta had well over 100,000 viewers, but the numbers went off the charts once they hit 100K so an exact total is not available. However, wording pertaining to peak and average viewerships has been added to the post above. how does the count suddenly get lost once over 100 thousand? The meter only went up to 100K. They were only anticipating 25-30K initially and felt that anything more than that would be a huge success. The numbers were still rising at a steady pace when it hit 100K, from what I was told, so they may have even reached 150,000 viewers. It far exceeded expectations. Official total peak viewership was over 250,000, so the event most likely did defeat the average viewership for Bellator 66 since Invicta FC 1 began with over 30,000 viewers at the start of the stream and steadily increased all night. hmmm what meter are they using? So for all anyone knows it could be a proxy bot assisted meter. In either case it was given away for free view so there’s nothing that substantial yet. The 1500 tickets sold is well below average for any major MMA events. It’s still great to see an all-female event being attempted again but let’s keep it real.